The Law Library Microform Consortium (LLMC) has assembled from various sources and digitized an extensive collection of early laws, codes, and jurisprudence published in Africa from as early as 1698. Those materials are now accessible in the LLMC-Digital database. This work was supported by CRL's partnership with LLMC, which funds digitization of materials of interest to CRL libraries and augments CRL collection strengths in area and international studies. LLMC’s diverse collection of primary materials assembled from various contributing sources includes historical, constitutional, legislative, and judicial materials from most African nations. 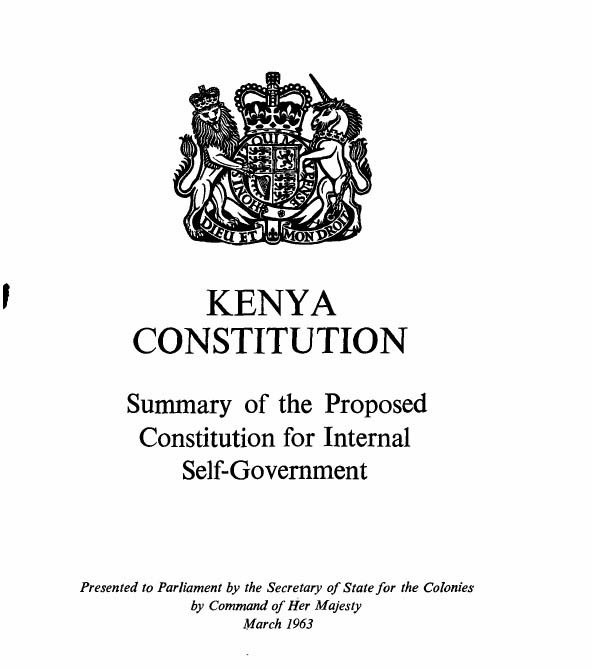 They include decolonization-era constitutional materials from Southern Rhodesia (now Zimbabwe), Guinea-Bissau, Kenya, Côte d’Ivoire, and other countries. One highlight of the collection is material related to the South Africa Treason Trial beginning in 1956. The materials are grouped as Trial Transcripts, Judgments & Schedules, and Judges' Reasons for Judgments. In December 1956 over 150 key members of the South Africa Congress Alliance (SACA), an anti-apartheid alliance of various civil rights organizations, were arrested and charged with treason. The Alliance was led by Nelson Mandela and his colleagues in the African National Congress. The arrestees included almost the entire executive committee of the African National Congress, leaders of the South African Indian Congress, the South African Congress of Democrats, and the South African Communist Party. The lengthy trial that began December 1956, concluded when the 30 remaining defendants were acquitted on March 29, 1961. CRL's partnership with LLMC allows researchers at CRL member institutions access to these important law resources through the LLMC-Digital database. These primary legal documents are available to aid scholars in many fields as they conduct research in the history, jurisprudence, and culture of Africa. Libraries that contributed to the latest assembly of African content include: the University of Chicago's D'Angelo Law Library, Columbia University Law Library, the Library of the Association of the Bar of the City of New York, St. Johns University School of Law Library, Lincoln’s Inn Library in London, and the Los Angeles County Law Library.